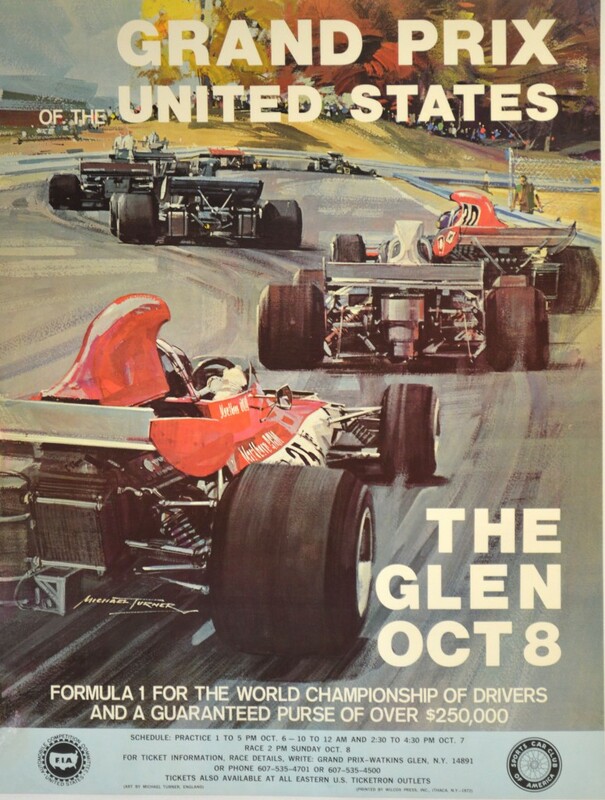 The Glen hosted the USGP for 20 years between 1961 and 1980. Originally it was the most popular venue on the Grand Prix calendar, largely because of its friendly atmosphere away from the adoring European fans and for the prize money. Up until the 1970’s drivers received money for showing up for a race but no prize money for race performance. Watkins Glen needed a way to get the teams and drivers from Europe, so huge, for the time, purses were offered. It wasn’t unusual for a driver to win more money for three hours of racing at Watkins Glen then he did for the entire season in Europe. 1972 was the year that Jackie Stewart and Francois Cevert finished 1-2 in the Tyrrells.